I once thought that acne-free face was impossible! Those were some of the most beautiful years of my life – my early teens; and, at the same time, they were really challenging due to my severe acne breakouts. But I stand before you today saying that it is possible, it is possible to clear your face and live an acne-free life! 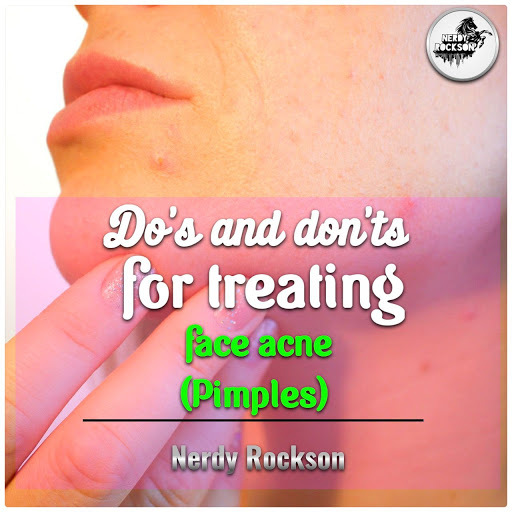 And this is the main goal of today`s article, I want to help you get a better understand on acne, how and why they form and what are some of the best ways to deal with them! Why Do We Get Face Acne? Regardless of the type of acne, you have (whiteheads or blackheads), they are mostly caused by clogged pores. Our pores usually clog when oil and dead skin cells build up on them. As I already said, most acne breakouts occur in the early teen years, when hormones run rampant making our skin more oily than normal. Girls can make things even worse by using oily makeup and cosmetics. It is often said that women suffer from more intense acne breakouts than men because they use oily makeup. What happens is they spot some acne on their face and immediately start applying more makeup to cover it up. This leads to even more clogged pores and a more intense breakout on the face. First, I`d like to point out that there is no one, magical cure which will clear your face and prevent acne from even coming back (maybe there is but I haven`t found it yet). What you need to do is change your habits, adopt and incorporate every single tip you get and slowly fight acne until there are none left! Here are some tips I`d like to share with you today, to get you started on this journey! Popping your pimples – this is the most common tip people get but this is probably the most common tip people often disregard… Why? It is my honest opinion that people usually disregard it because no one told them why popping your pimples is bad. Since acne is often filled with bacteria, popping them will spread these bacteria across nearby pores and possibly cause a bigger breakout. So don’t do it! Consuming excessive amounts of sugar and milk – though this link between foods and drinks high in sugar and increased acne breakouts has never been corroborated by a major scientific study, some new emerging evidence is showing that there is something to this claim. As for milk, the famous “Nurse`s health study” examining 47.000 healthy nurses showed that those who drank milk as teenagers had much higher rates of severe acne compared to those who didn’t. Touching your face – as much as you clean them, your hands will always have some dirt and bacteria on them, by touching your face you can get that bacteria on your face and cause more skin problems. Apple cider vinegar – apple cider vinegar is one of the most effective home remedies since it kills off the problematic bacteria that caused acne in the first place, and will also restore your skin`s pH balance (balanced skin pH will make it harder for bacteria to thrive). Green tea – using green tea probably helped me the most with calming the inflammation down and reducing flare-ups. I still use it to this day! There are two ways you can apply it – you can either use a cotton ball and apply to the problematic area on your skin or take a used tea bag and apply it (if the affected area is smaller). Banana peel – I love eating bananas but I only recently found out that its peel is filled with powerful antioxidants which prevent inflammation and flare ups. Now, every time I eat a banana, I take the peel and rub it (in circular motions) all over my face and let it sit for 15-20 minutes, then rinse it off. Aloe Vera – truly a magical plant and I mean it! It has helped me with literally every skin problem I`ve ever encountered through my life. The only problem is it may be difficult to come by… Luckily, you can just plant it and keep around the house. What you want is its yellowish sap, extract it, and apply directly to the problematic area.